Savannah Grand of Maitland Assisted Living offers a long-term residential option that provides personal care and services in a residential setting. Assisted Living is designed for those who need extra help in their day-to-day lives but who do not require 24-hour skilled nursing care. 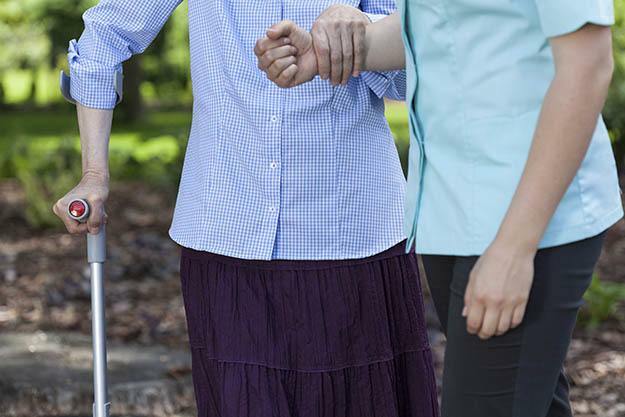 This lifestyle bridges the gap between living independently at home and a nursing home. At Savannah Grand of Maitland, our residents have selected us as their choice for assisted living in the Orlando area for our homelike atmosphere. Our community is safe and nurturing, promotes independence, recognizes individuality, and provides choices and privacy. Savannah Grand is a Maitland assisted living community that delivers customized services by our well-trained staff. "The rooms are very nicely done and very spacious, and they allowed us to hang pictures on the walls. It is fresh and clean. They have very fine people. The directors, counselors, and case managers are all very friendly and professional. My mom is comfortable with them. They are providing memory care, stimulating activities, and programs constantly daily -- morning and evening -- and she is beginning to participate in all of them. The food is delicious. They have a chef and a full-time physician on board. We're really impressed with it; that's why we chose it. Plus, the price was competitive. She is in assisted living with memory care accessible -- she's not in memory care specifically. We moved her in mid July."